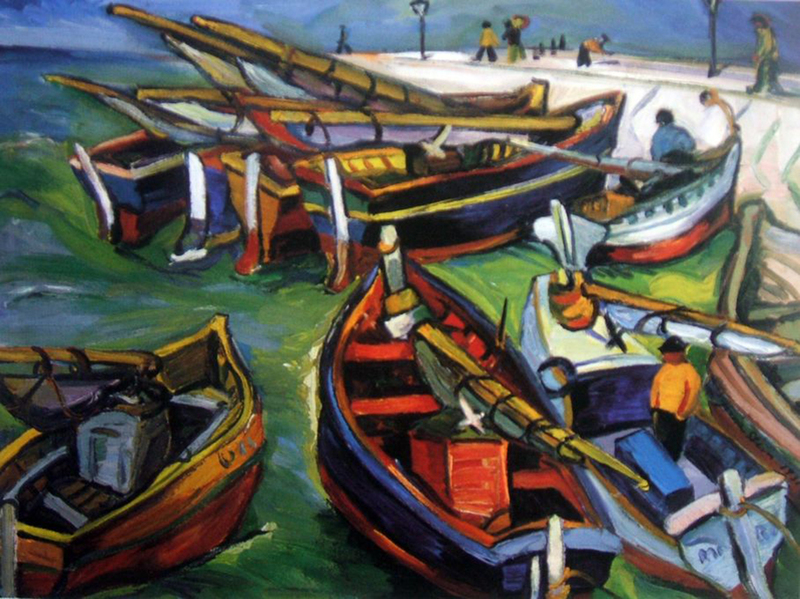 A word of advice: if you're going to carry out an art heist, you might want to consider doing a little research about the art first so you don’t look like the fools who stole Irma Stern’s Fishing Boats. In 2012, South Africa experienced their biggest art theft to date. Three men pretending to be a teacher and two students wandered the halls of the Pretoria Art Museum. After a quick look around, the three men busted out their guns, along with a shopping list of the pieces they lusted after and forced a museum employee to show them where each of the paintings were located. After grabbing six artworks they hustled outside to find the first flaw in their planning. They couldn’t fit all six into their getaway car, so they ditched Stern’s other painting, Two Malay Musicians, and sped away. What they didn’t know was that the painting they left behind was far and away the most valuable piece in their loot, worth about $1.4 million. While this gaffe is slightly hilarious, the thieves still managed to make off with over $2 million worth of art, with Fishing Boats accounting for almost half the worth of the plunder. After a couple days the police received a tip that the art was spotted over 700 miles away, in a cemetery in the city of Port Elizabeth. Near a memorial wall, they found four of the five paintings which were promptly returned to their rightful home.